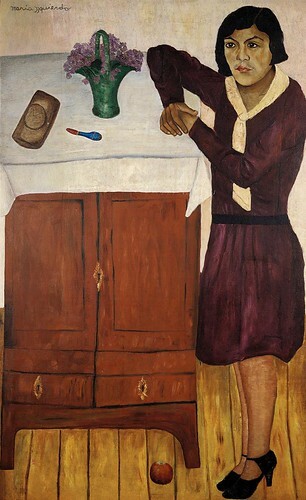 "Portrait of Belem" 1928, originally uploaded by artinconnu. I really like this painting and feel like I want to paint my own version on it.I have only recently made my way back into the studio to paint in the past few weeks. I like the way the figure is squeezed into the frame up against this piece of furniture. I like the clumsy way this painting is done yet everything is so solid. Just a little bit of green.